Alhamdulillah always a reminder that there are many different realities in Tariqah and these are gifts from Allah (AJ)‘s Divinely Presence to the presence of Sayyidina Muhammad (saws) and from Sayyidina Muhammad (saws) to Awliyaullah. Alhamdulillah from the heart of Sultanul Awliya Mawlana Shaykh Muhammad Nazim al Haqqani and his representative Mawlana Shaykh Hisham Kabbani. They are the saints and guides and perfected ones. From their teachings is a reminder for myself that out of the many oceans of realities that we talked about last week about the meditation. Means all of it is based on how to open the heart. The heart has its subtle openings what they call lataif, like satellite dishes of energy that open the layers of the holy heart to the holy presence and the divinely lights of the Heavenly Kingdom to come. It means we are asking from Allah (AJ)‘s Heavenly Kingdom to come onto Earth and come into our hearts and to make our heart be a Heavenly Kingdom. For the heart to open, the holy head has to be in submission. Means that when the ears are in submission, the eyes are in submission, and the breath is in submission, then the last and most difficult is the holy tongue; that all of it must be in submission. So all of the Tariqah training comes to teach us that when we accompany the shaykhs, accompany our perfected masters, they teach us how to perfect our samina wa atana, “we hear and we obey”. So Allah (AJ) is teaching directly: your ears are locked to your feet. So if you have vertigo you can’t walk. There are two levels of ears. We have an outer ear and an inner spiritual ear. Allah (AJ) describes: they have ears but they don’t use it, they use it like the animal kingdom but we don’t really hear into the heart. That keep your vision upon your feet, nazar bar qadam, why? Because your nazar has your hawa, your desires. That you don’t see blind people have dunya (material world) desires. There is no blind person out there trying to conquer the Earth and buy a Ferrari, he can’t see, he can’t use it. There are no blind people with material desires. Then seeing is directly connected to your desires. Keep your desire closed and keep your vision on your feet. It means watch where your feet are taking you in life. If these feet go dancing we have got trouble. If these feet go to masjid to worship and do prayers, alhamdulillah we are on the footsteps of piety and on the foot steps of Sayyidina Muhammad (saws), qadam al Haqq wa qadam as Siddiq [The foot of the Truth and the Foot of the Truthful]. And those who are inheriting from holy Companions and Ahl al-Bayt an-Nabi (saws), inherit the footsteps of Prophet (saws). So if all of the head, from the previous teachings are understood, and are submitting from its animal nature, and coming down towards its heavenly reality, immediately at that time they begin to teach us in the meditation and in the tafakkur (contemplation). 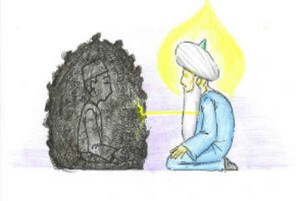 That when you are making tafakkur and contemplation, you have to always be with the people of light. 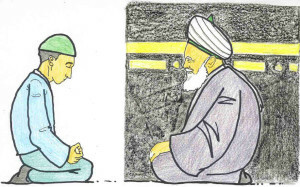 You always have to be with your imam. Means there is never a time that we accompany physically the shaykh and that spiritually we are not with him. It means every concept of our life is of that nature, that yaa Rabbi the biggest imam (spiritual leader), the greatest imam is Sayyidina Muhammad (saws). When we teach ourselves – or Sayyidina Isa (as) or Nabi Musa (as) or whatever nation they are from, and whichever prophet they are following – our life is based on the prophet is always in front of me. That my life is always behind them, I pray that God accepts me to be dust under their feet. But because we are not at that time then Allah gives to us guides. so our holy Shaykh is always my imam, whether I am accompanying him and praying behind him, and memorizing in the vision of my eye in my heart. Means I try never to leave that presence. Means that you are keeping the love of the shaykh. And that love of the shaykh, because we accompany based on love, not by force, nobody can force us to sit here, nothing will open by force. We accompany by love and they begin to teach with that love you begin to have a hudur, you feel a presence. With that presence means you merely look at them and when you close your eyes you can see them with the eye of the soul, with the eye of the heart. That you see them and you build the relationship physically with them, and spiritually with them. That to always be in their company, that muhabbat and love for that reality begins to develop the hudur and the presence of the shaykh. Means the physical presence of accompanying these masters and their spiritual presence, because Allah (AJ) says: go through every house through the correct door. The house of Allah (AJ) is qalbun mu’min baytullah. Means come through the heart not through the head. Means open the soul and make a connection with them through the level of the soul. There are people who accompany the Shaykh fifty years, forty years, ten years physically but they never attempted to connect spiritually. And that is the great error, that is the great difficulty because all you are taking is from its physicality and it is such a small reality compared to the spirituality of the shaykh. 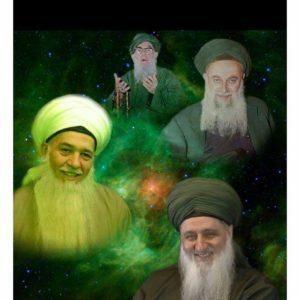 That is the light and the eternal presence of the shaykh, he is the reflection of Sayyidina Muhammad (saws) and Sayyidina Muhammad is the Divinely reflection upon Earth. The perfection of what Allah (AJ) wants is known through all the prophets. All the attributes of the Divine reflect through the prophetic reality and from the prophetic reality to the pious servants. Atiullah wa ati ar rasula wa ulul amri minkum. The ulul amr (those with heavenly authority) inherit that reflection. So they begin to teach by keeping their presence, by meditating and contemplating that my Lord I never want to be without them, that I am always with them. As soon as you begin to learn to make tafakkur (contemplation), because we are now leaving the level of the mind and the level of the physicality . Through the head at the initial stage, it was to discipline the physicality. Now when we enter into the realm of the heart it is the realm of faith. This is no longer of a physical nature, this is of a spiritual nature and we have to make a spiritual connection with our guide. 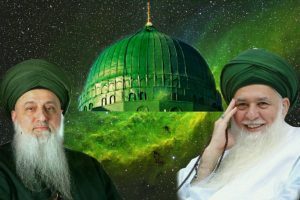 Sultanul Awliya is the ultimate in that connection but alhamdulillah Allah (AJ) gave for us a perfect example of that reflection and making connection with that and asking always to be in the presence of Mawlana Shaykh Hisham. 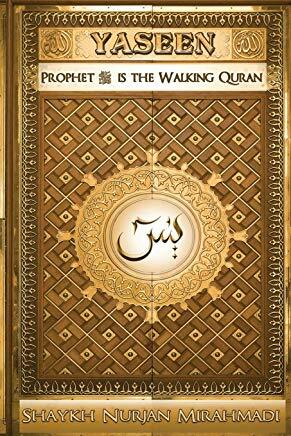 For us in this region we seek his example, we seek his traveling, we hear his suhbahs, we hear all the teachings. I am asking to always accompany Your pious servants. As soon as I am meditating and contemplating, asking yaa Rabbi I want to be with the soul and its reality, and you begin to visualize as if you are there physically with them. Their soul is right there in the presence, their soul is right in front of us and asking yaa Rabbi let me open my heart and build my connection from soul to soul with my guide. 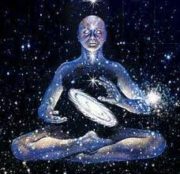 At the first stages it is me trying to connect. There is no way to hear him until he is given permission that the connection is correct. I merely send out the line, send out the request, it is for them to find acceptance. If they accept, they feel it to be sincere, they deem it to be correct, they begin to send their nazar. Nazar means their spiritual attention upon the soul. 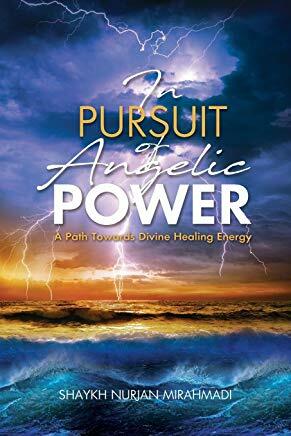 As soon as they send their spiritual attention, means all of this knowledge is based on the heart, based on the spiritual connection. 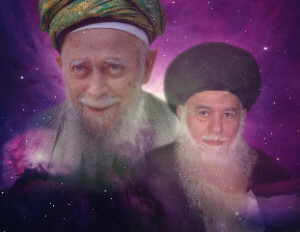 We begin to learn the physical is what we are hearing through, our ears, but it is opening a spiritual connection of the shaykhs. 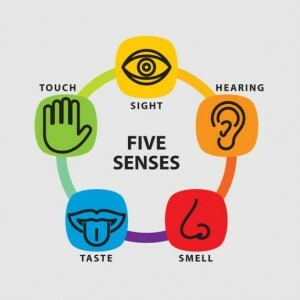 They are teaching us, for that [spiritual Connection] reality to open up Allah says: if you want to be with Me, you have to be with four categories; the Nabiyeen, Siddiqeen, Shuhada and Saliheen. That is why the Ka’bah is a symbol from them. 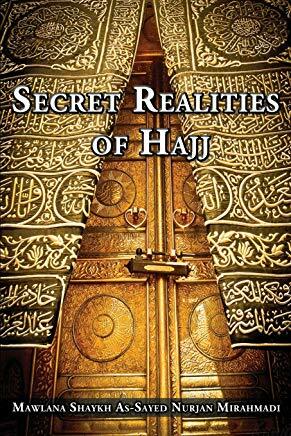 That if you want to be with Allah, you have to be with the Nabiyeen (Prophets) which is the Hajar al-Aswad (Black stone in kabah), with the Siddiqeen (Truthful) the corner that is closest to Prophet (saws), the Shuhada (Martyrs) because they see. And those Shuhada produce the Saliheen [Pious People]. 2. Siddiqeen (Truthful ones) – Corner close to Prophet (saws). Siddiqs are the big Companions of Prophet (saws). 3. Shuhada (Those who Witness) – the martyrs, not only the people who died in battle, but those who die in their physical world. Means the big ‘alims (scholars) of reality who were able to destroy their characteristic and they are deemed not to be very much alive in this dunya because they are alive in the Divinely Presence. The Shuhada are witnessing. If not a Shuhada and not from one who sees in their association, they are never going to reach to be the Saliheen. It is just the formula which Allah (Azza wa Jal) is creating that reality. 4. Saliheen (Pious People) – So by entering in and finding the groups of Saliheen they must have from amongst them Ahl al Basirah (people of Spiritual vision), whom they have trained and their desires have dropped. As a result of the desires dropping Allah describes: We took the lock of their ears, We took the lock of their eyes which is the ‘ayn (vision) of the heart and We removed the Kiswah, the veils that are blocking them. It means by keeping their company their whole purpose is not the physical association but by means of the physical they are able to pull the souls of people. So from ‘Malakoot kulli shay’ means we come into a physical association and we seek out a physical association but, these Ahl al-Basirah are from the people of light. That immediately their soul in the room is able to grab all the souls of everyone present, and takes them to what Allah (Azza wa Jal) wants from the fulfilling of the Contract. What we say in our [Naqshbandi] Zikr: yaa Sayyid, yaa Sahib, yaa Siddiq, yaa Rasul, yaa Allah. It is the same from Holy Qur’an Allah (AJ) is saying: if you want to be with Me you must be with Nabiyeen (Prophets), Siddiqeen (Truthful ones), Shuhada, wa Saliheen. So Shuhada are witnessing. One way of becoming a witness is you die and now you witness the light Allah (AJ) wanted to show. Or your desires drop and your heart begins to open; your soul begins to see what Allah (AJ) wants it to see, and now you are from the Shuhada and ahlil basirah (People of Spiritual vision), those whose hearts are open. 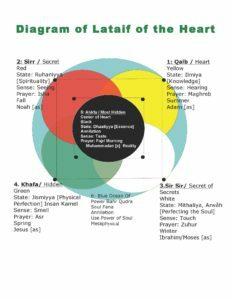 Allah (AJ) says you have to be from these four realities, from the Saliheen, from the Shuhada, the Siddiqeen and they are all connected to Sayyidina Muhammad (saws), Nabiyeen. It means then there is the level of the heart. 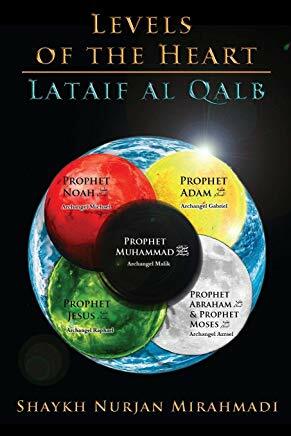 Before we go into the understanding of the lataif [Shaykh points at the diagram of Lataiful Qalb] you will see that around the heart encompassing the circle of reality is a square which each points, the outermost point of each lataif, makes four. That four is the Ka’bah, qalbun mu’min baytullah. There is an outer four and an inner four. 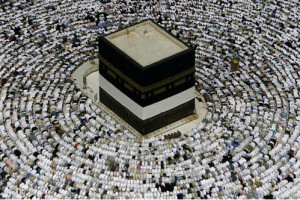 The outer four is the Ka’bah of the physicality. 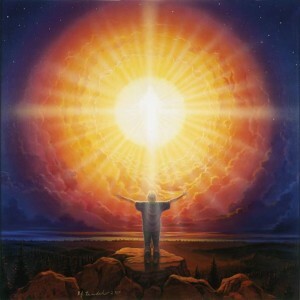 The inner four is the innermost reality the Baytul Mamur, the Divinely House in the oceans of light. They teach us to accompany them, to understand from them, to open our souls into their presence, then Allah (AJ) begins to open the reality of the soul, and the true connection of the soul. And only at that time can this conveyance begin to open. 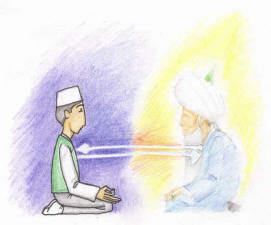 Until that time we learn and understand, so that when we are meditating we start to study: what is the Qalb [Heart – First Station], what is the Sir [Secret – Second Station], what is the Sir Sir [Secret of Secret – Third Station], what is the Khafa [Hidden – Fourth Station] and what is the Akhfa [Most Hidden – Fifth Station], the inner most secret dimension of that lataif. But it requires somebody who is interested in studying it, and is very strong on their meditation because it is the combination of these two realities. As soon as you study it, you read about the Qalb [First Station] and you see it as a yellow colour, the lataif of the Qalb. Means then you envision that you are focusing just on the Qalb [First Station] . Yaa Rabbi (O my lord) I want to open the reality of the Qalb and its yellow and you see everything around you like an ocean of yellow and you are sitting with your connection with the shaykh. You begin to see everything in that ocean of yellow, that send from that light, I want to see myself in that light. How you focus is to see yourself inside the lataif. That everything around is yellow and you are focusing on that. Then you begin to understand that reality, that that yellow and the reason for the yellow and you begin to study its realities. One understanding of that, it is the opening of the Qalb (Heart) and has to do with the reality of knowledge. Then you begin to see. There are so many different levels, it is difficult (to decide) at which level we are going to talk about.